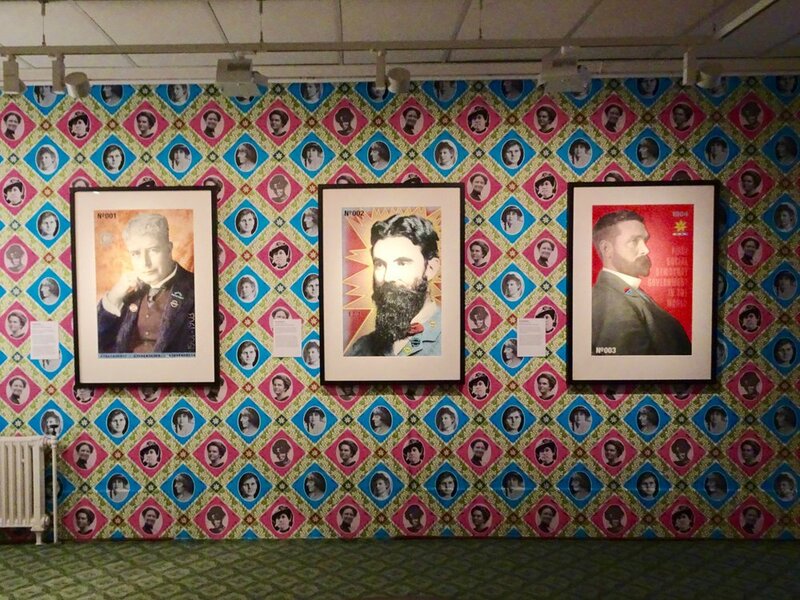 In this project, Canberra-based artist Alison Alder reinterprets and reinvigorates portraits of the first eight prime ministers. Developed from her fellowship with the Australian Prime Ministers Centre, Alder has found rich inspiration in the early period in the nation's democracy. 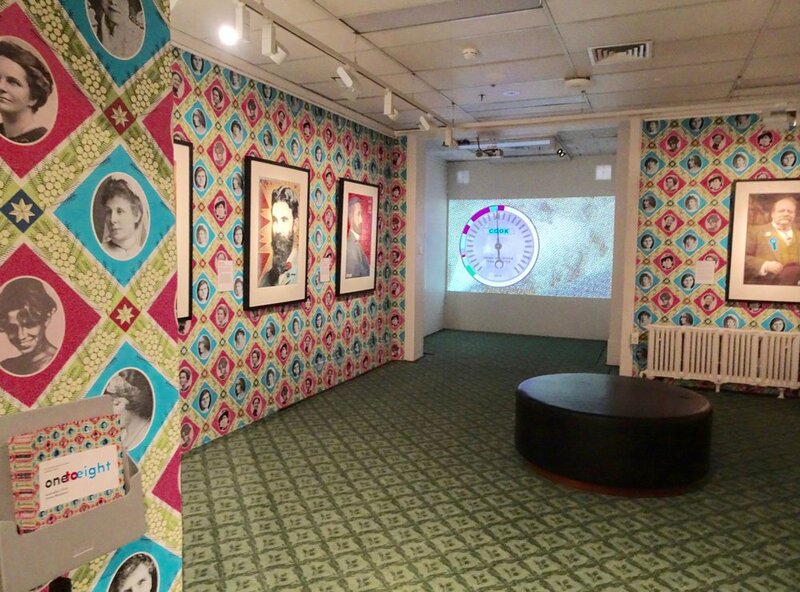 Responding to the history and architecture of Old Parliament House, she has created an immersive installation with screenprints, animation and commissioned wallpaper in a small gallery just down the hallway from the former Prime Ministerial offices. Until the introduction of Movietone newsreels in 1929, the imprint of ink on paper in newspapers, journals, magazines, posters and ephemera was the primary source of visual information available to the Australian people of their prime ministers. The printed image had the power to influence opinions and provide a sense of familiarity with, or conversely distance from the leaders of the nation. Inspired by a picture of Stanley Bruce's cabinet where they were all wearing some type of lapel badge, Alder presents each prime minister wearing at least one badge referencing a key aspect of their time in office. Neither explicitly positive nor negative, she leaves us to form our own opinion. Visually arresting, humorous and thoughtful, Alder's portraits bring these historical figures a little bit closer to us. Through these portraits, combined with the Term-0-Meter animation tracking the amount of time each prime minister spent in parliament, and a site-specific intense patterned wallpaper honouring their wives, Alison Alder gives us a sense of a dramatic history that is lively, dynamic and with parallels to our own. 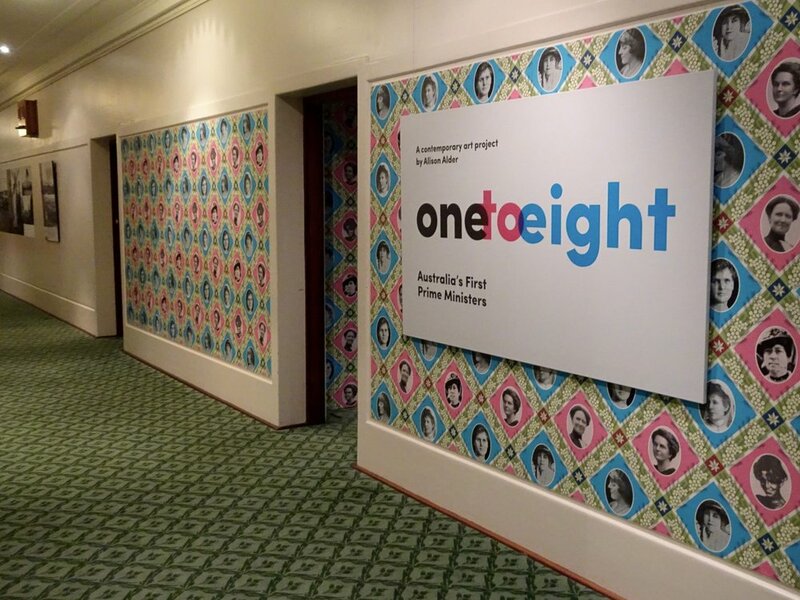 onetoeight: Australia's First Prime Ministers is accompanied by an exhibition guide with an essay by historian and member of the Canberra Press Gallery, Chris Wallace. Alison Alder is a visual artist whose work blurs the line between studio, community and political art practice. Her work has been inc uded in several key exhibitions including Making It New at the MCA Australia and is held in many public collections including the National Gallery of Australia, MCA Australia, the Australian War Memorial, State galleries and the Cruthers Collection of Women’s Art. She has won several awards and grants including a Fellowship at the Australian Prime Ministers Centre, the Alice Prize, an AIATSIS Research Grant and an Australia Council Fellowship. Alison is currently Head of the ANU School of Art and Design’s Printmedia & Drawing Workshop.